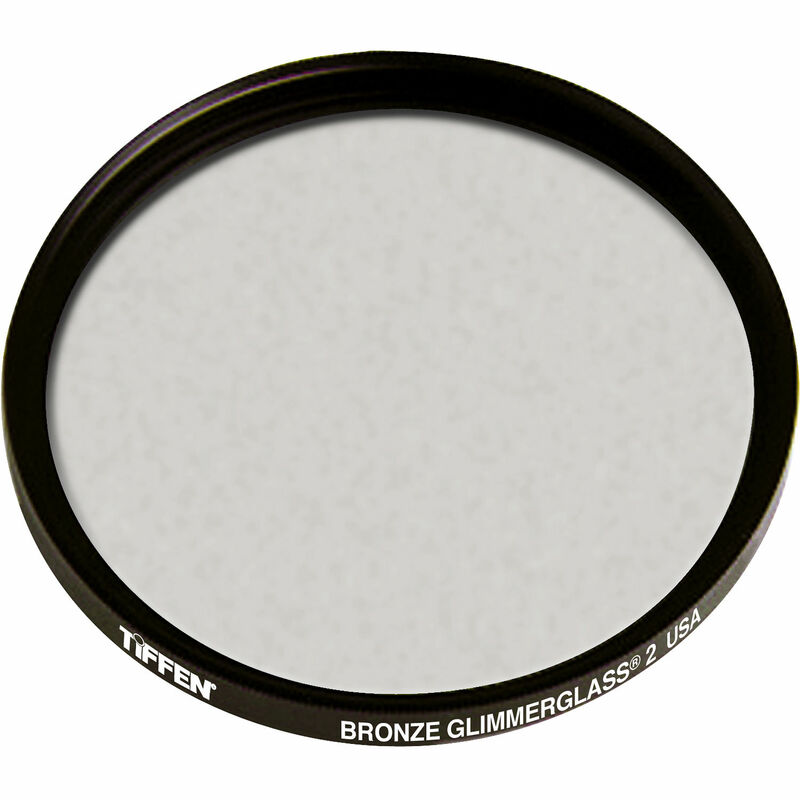 The Tiffen 86mm Bronze Glimmerglass 2 Filter is a beauty filter whose function is two-fold: in addition to modifying the appearance of the image itself, it also features a sparkling appearance when viewed from the front, instilling more confidence in the model. The filter itself imparts a bronze tint across the image and helps to soften skin details and blemishes. It also produces glowing highlights and a mild reduction in contrast for a more ethereal appearance. The 2 density provides a subtle amount of bronze tint and overall image alteration. This filter is made using ColorCore technology, a process that involves laminating the filter substrate between 2 pieces of optical glass, grinding flat to a tolerance of 1/10,000th of an inch, and then mounting to precision metal rings. Bronze tint provides additional warmth to the image and helps to soften skin details and blemishes. Produces glowing highlights and a slight reduction in contrast for a more ethereal image appearance. When viewed from the subject's perspective, the filter appears to be sparkling and helps to instill confidence in models, resulting in a potentially better performance.